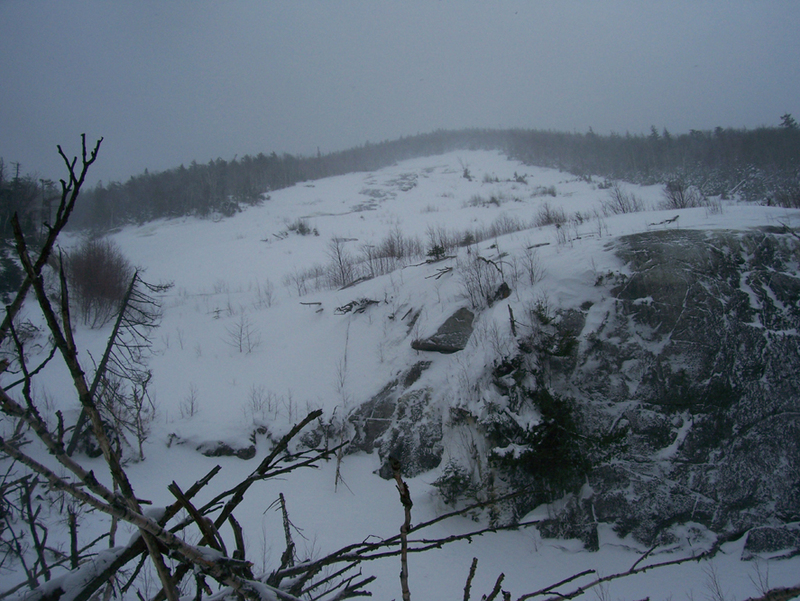 Today's Telemark Tuesday photograph takes us to the base of a popular backcountry ski destination in the Adirondacks, the slide on Mount Colden. Mount Colden is the 11th highest peak and in the Marcy Group of the Adirondack mountains. In the fall of 1999, the rain-soaked vegetation covering the mountainside came loose and slid down the peak, creating a massive pile-up as the remnants of Hurricane Floyd moved up the East Coast. Folks might forget we get a great deal of East Coast weather here in the Adirondacks. I particularly love the sight of a nice spinning Nor'easter when it hits a Canadian cold front over the Adirondacks. Ooops - waxing about snow, sorry. Although the storms are transient, they leave change in their path. I found a great site with side by each photos of Mount Colden before and after the slide. Obviously, the slide skiing here is for experts only and not the faint of heart. 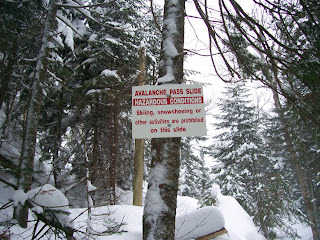 The marked ski trail to Avalanche Pass is a nice half-day excursion for an intermediate backcountry skier and climbs past and through the slide area. As you can see by the sign, skiing on the slide is highly discouraged, but conditions are occasionally very good, and tempting.